South Korea's antitrust watchdog said Monday that it has imposed a combined 43 billion won (US$37.8 million) in fines on nine global auto shipping companies for bid rigging and price fixing. 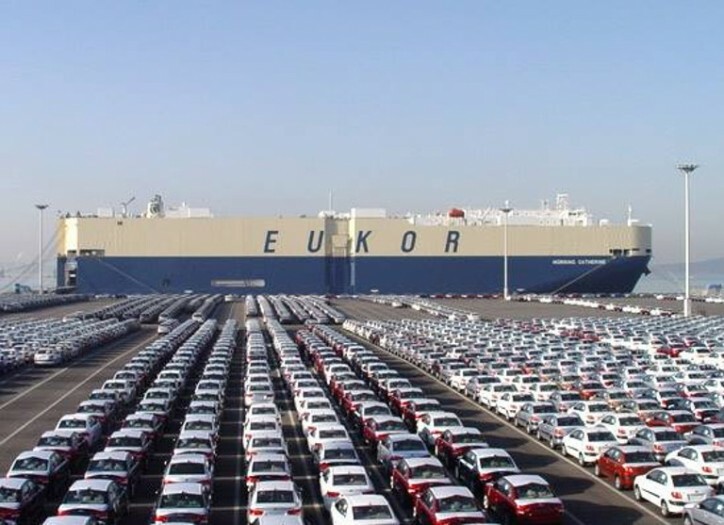 The Fair Trade Commission (FTC) said the nine car carriers allegedly colluded to participate in auctions arranged by carmakers, including General Motors Co., Renault Samsung Motors Co. and Toyota Motor Corp., between 2002 and 2012. The nine companies are Japan's Nippon Yusen Kabushiki Kaisha (NYK), Mitsui O.S.K. Lines (MOL), Kawasaki Kisen Kaisha (KL), Nissan Motor Car Carrier Co. (NMCC), Eastern Car Liner, Norway's Wallenius Wilhelmsen Logistics (WWL), Hoegh Autoliners, Chile's Compania Sudamericana de Vapores S.A. and South Korea's Eukor Car Carriers. The shippers have divided up marine routes and decided not to invade each other's sectors in order to avoid competition, the FTC said. At a separate bid arranged by Hyundai Motor Co. between 2008 and 2011, NYK and Israel's ZIM Integrated Shipping Services fixed car-carrier rates to share the South Korea-Israel route. The FTC ordered the 10 shippers mentioned above to halt such illegal practices and slapped nine with penalties, with the exception of Hoegh Autoliners. MOL was slapped with the largest fine of 16.9 billion won, followed by KL with 12.8 billion won and NHK with 4.9 billion won. The world's car carrier market was estimated to be worth 10.5 trillion won in 2011, with the three Japanese transporters of MOL, NYK and KL taking a combined market share of 80 percent.